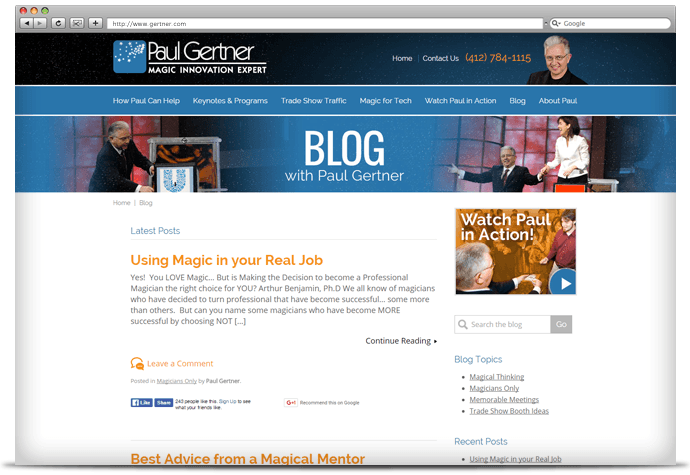 Speaker and World Champion magician Paul Gertner inspires others to find creative solutions by taking on a magician’s perspective. Paul pioneered the concept of using magic for marketing and is known in the industry for using his talent to deliver detailed corporate/product messages. 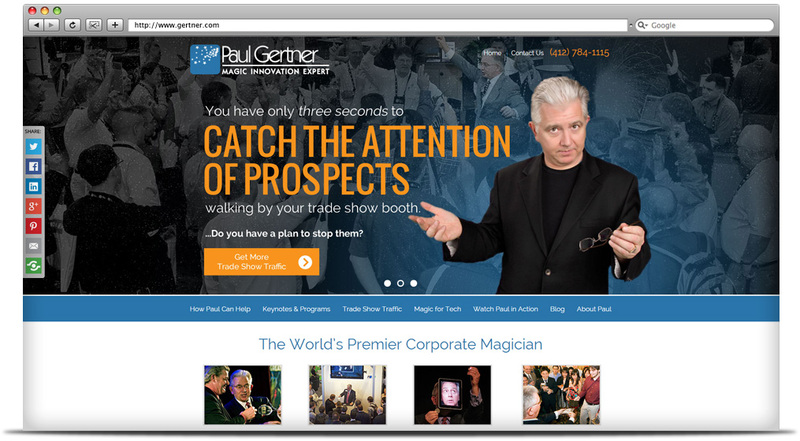 Recognized by his peers as one of the finest sleight-of-hand magicians in the world today, Paul has appeared on national circuits such as The Tonight Show starring Johnny Carson, World’s Greatest Magic II, Food Network’s Dinner Impossible and many more! 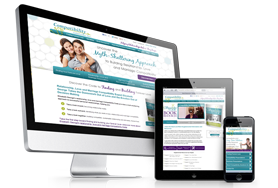 We started with exciting visuals exhibiting his fun and entertaining personality, using bold color and clean lines to help modernize his site and draw interest from a vast audience. 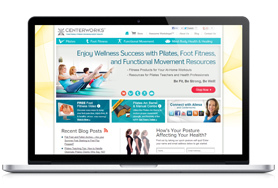 His talent and expertise are displayed throughout the site employing videos and testimonials that pay homage to his awe-inspiring abilities. 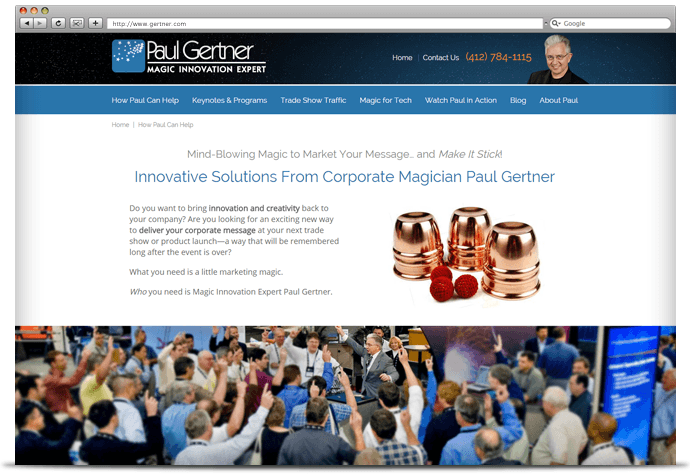 We enjoyed our time with Paul and giving his website a “magical” new look!